← NACCHO Aboriginal Health and #Disability : Can #NDIS Agency Actions Improve #Indigenous Participant Experience ? 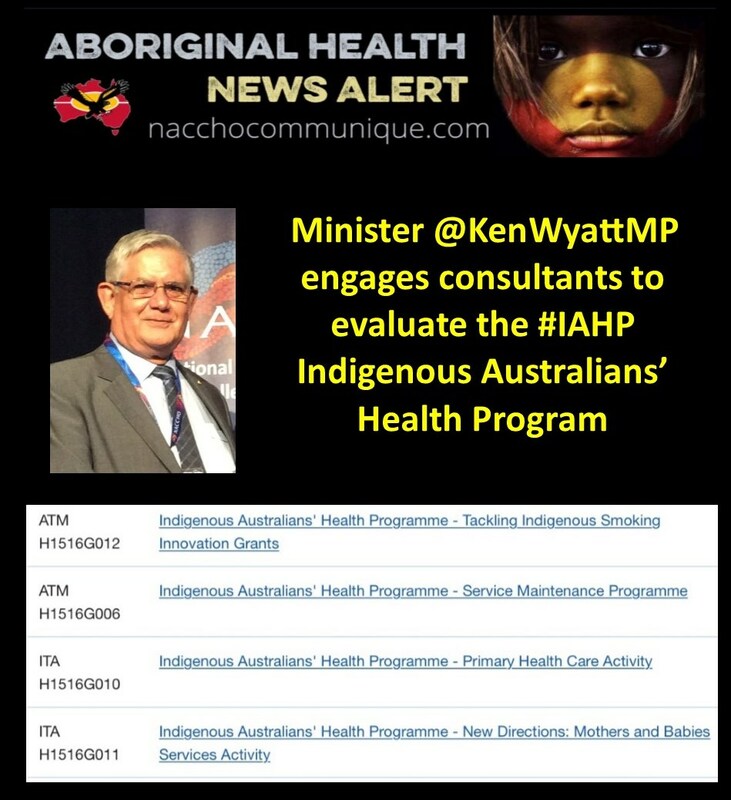 “Independent consultants have been engaged to conduct evaluations of the Australian Government’s Indigenous Australians’ Health Program (IAHP). We need to know what is working well so we can best target our investment in, and support of, health programs. 1.A longer term evaluation of comprehensive primary health care will be co-designed with stakeholders over 9 months, by consultants Allen and Clarke. 2.In addition, a health economics analysis will be undertaken by Deakin University. This project will consider the IAHP’s return on investment and the relative costs of providing comprehensive primary health care to Aboriginal and Torres Strait Islander people through Indigenous specific and non-Indigenous health care services. “Improved health results, social returns and broader economic benefits will be assessed,” said Minister Wyatt. “This economic evaluation will inform future IAHP investments, to improve efficiency and drive better health outcomes. “Both studies will be supported by an Evaluation Advisory Group comprised of key stakeholders and health experts, to ensure a wide range of perspectives are taken into account. The Indigenous Health Division is responsible for the Indigenous Australians’ Health Programme, which commenced on 1 July 2014. This Programme consolidated four Indigenous health funding streams: primary health care base funding; child and maternal health activities; Stronger Futures in the Northern Territory (Health); and the Aboriginal and Torres Strait Islander Chronic Disease Fund. The Guidelines for the Programme provide an overview of the arrangements for the administration of, and activities that may be funded under, the Programme.